Bright Yellow and Smiles a Lot! One by one, nine busloads of school kids ramble out of Wheaton, MN, aimed at a small airport just southwest of town. As the first bus full of curious children gets close to their destination, eyes widen inside the bus as the "Smile in the Sky" comes into view. It doesn't take long for those small faces to break out in grins, smiles and laughter. As the very same time, dreams are being born, and the hearts of these kids are soon melted like the frozen Northern tundra on a hot spring afternoon. Yeah, Duggy can do that to kids. As each bus drops off another load of kids, the result is the same. They are led inside Duggy, the happiest airplane in the sky, where they learn about flying, about dreaming, and are exposed to a world filled with big round engines, flight decks full of excitement, and a crew that has the same wide smiles that the kids loved seeing on the nose of the most visible and most important DC-3 flying today. When you think about how many kids were turned on to flying in just this one stop on Duggy's schedule, it is very easy to see why this big, bright yellow flying machine is so critically important to the growth of tomorrow's GA community. 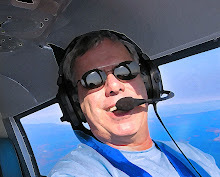 In 2010, I am throwing everything I have in my skill set at two causes...getting kids exciting about flying, and encouraging more females to become pilots. To bring women into flying, I am fully supporting Lynda Meeks and her Girls With Wings program. As for the kids, I have chosen to back Team Duggy, as I see this wonderful airplane and his crew as a bright yellow beacon of hope for cultivating young minds into new pilots. If you're on my bandwagon, then you'll enjoy the ride on this series of posts as I highlight the Duggy operation from now through late July when he joins 39 of his DC-3/C-47 friends for a little formation fun flying into EAA Airventure 2010. If you only have a passing fascination with DC-3s, I hope to provide enough color and background to keep you tuning in. But if you are like me and have a rapidly growing passion for the "Smile in the Sky", you will LOVE this ride. As this series begins, I will explain how a surplus airframe stranded in a cold Canadian auction yard ends up as a fully-operational Dream Machine. We will learn how the sketches of a 12-year-old kid in Ohio comes to life and ends up as one of the star attractions every summer in Aeroshell Square. This, my friends, is a backstory for the ages. Come with me as I progress through this journey into Duggyland, where I will describe some of what it takes to keep a vintage 1942 Howitzer hauler flying. We'll discover the mountain of money it has taken to turn surplus aviation hardware into a fun, fantastic fantasy launcher, and see why it is critically important that the public and large aviation corporations remember this operation when cutting those tax-deductible donation checks in the future. When spring erupts up in Fargo, ND – where Duggy lives – I hope to bring you more stories of more dreams launched inside this beautiful brute, as he makes his way from school to school on a mission now being organized by the North Dakota Aeronautics Commission. 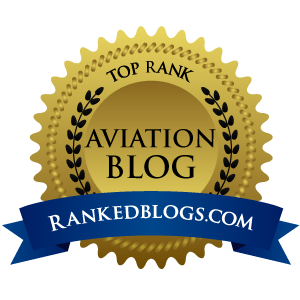 If you're like me and love hearing about smiling kids gazing at big, honkin' airplanes, then watch for some of this good stuff coming here soon. O.K., you know what my part of all this will be. As I push on to bring as much positive publicity as I can to Duggy and the dedicated team who keeps him warming those hearts, I will pray that you do your part in this equation. That will be to soak up every word on this blog, bookmark the posts and send them to as many people you can using the convenient "share" button at the end of each post. Tell them to gather up as many kids as they can and immediately go to Duggy.com. Tell them to make sure to seek out the "Smile in the Sky" and get those kids inside so their dreams can be launched, today. 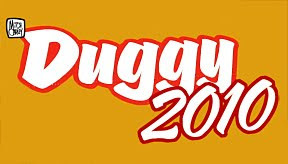 And as I tweet about this story series, please remember to "retweet" @Av8rdan whenever I talk about Duggy, which as you might expect, will be often. Together, we can do this. If we all get behind this operation, we CAN inspire new pilots, this I know. And give me the latitude to take this journey even if you begin thinking it's becoming Duggy 24x7 around here, because you MUST look at the bigger picture. If you promise to tell enough people to go discover the magic that Duggy can bring into kids lives, I promise that some of those little dreamers will be pilots someday.